While looking for the Kuperberg family on the Ellis Island database, I came upon a little five-year-old girl, Mindel Kudler, travelling ostensibly alone from Odessa to New York in 1905. 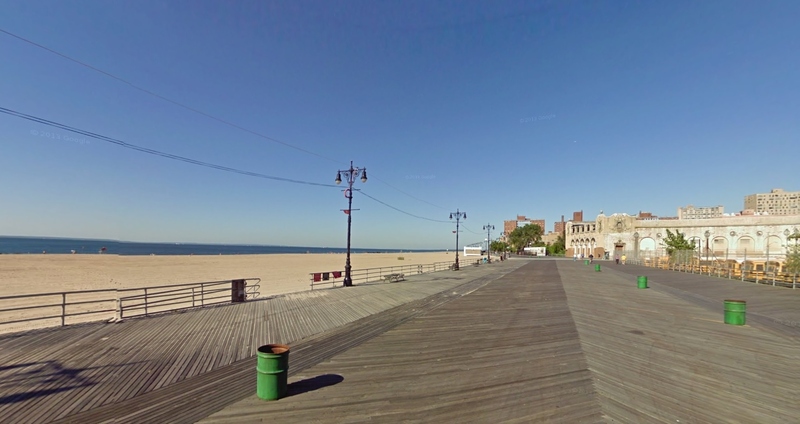 I got up the manifest and saw that her ship had left in August 1905 from Hamburg, and she was travelling with her grandmother Libe Zajac to her mother Chana Kudler at 149/151 Centre Street, Brooklyn. Grandmother and granddaughter were detained for a few days at the hospital before being admitted to the US. Possibly Mindel had not been able to travel with her family because of illness. This was a family who had left Odessa just before the pogrom but I was interested in what had happened to this child, ill and separated from her family, possibly for many months. It was difficult to read the grandmother’s and the mother’s first names, so I tried Minnie Kudler in the search on Familysearch and came up with the 1920 census, but the mother’s name was Fannie. The father was Barnet, a stable proprietor from Odessa, so I knew I had found the right family. They were living at 37 Moore Street. Although no one else bothered, people from Odessa often insisted on Odessa being written into the census. Minnie was 19 and not working although her older sister Mary and younger sister Rose were both office workers. Possibly Minnie was helping to keep house as there were eight children in her family and there were another six children with the last name Lipshitz, which I assumed to be Fannie’s previous name. The youngest Kudler child to be born in Russia was Mollie, born in 1905.Mary, Minnie, Rose and Mollie were born in Russia and Morris, Joseph, Florence and David, who was only 4, were born in New York. The Lifshitz children were Abe, 19, Archie, Teddy, Hyman, Annabelle and Florence, who was also 4, and they were all born in New York. The next census I found was 1930 and Fannie is now Fannie Lipshitz, living with her children Abe, Morris, Archie, Theodore, Annabelle and Florence, ranging in age from 29 to 14, still at 37 Moore Street. Two more children are tagged at the bottom, Daniel, 15, and Lena, 18. It seems that a lot had happened in those 10 years and it took quite a bit of effort to piece together the complicated story of the Kudler and Lipshitz families from the records I could find. I never found either family on the 1910 census, but I found Fannie and her first husband Frank on the 1900 census when they had a daughter, Tillie, born in 1897 and a baby son, Hyman, born in 1899. Frank was a removal man. They lived on Manhattan Avenue which runs through the centre of the Jewish area in Williamsburg, Brooklyn. Another Hyman Lifshitz, a tailor 24, was boarding next door who, I found out later, was Frank’s brother. I then found the 1897 marriage record for Frank and Fannie, and also the ship’s manifest when Frank came to the US in 1889 at 19. 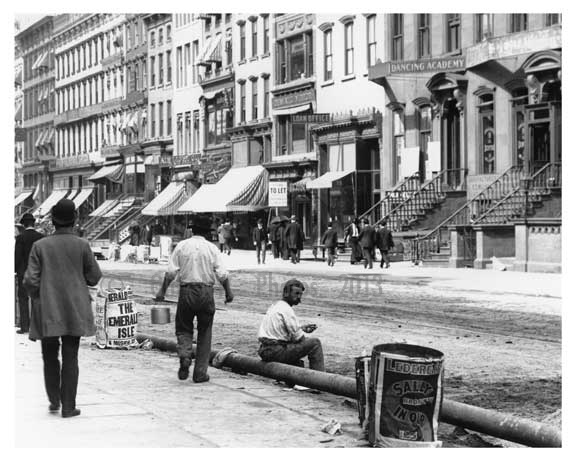 By 1905 they had three more children besides Tillie and Hyman, Abram, Morris and Harry, and lived at 37 Moore Street where Fannie remained for as long as I could find her. Frank’s brother was living with them and the brothers were working together as ‘express men’. 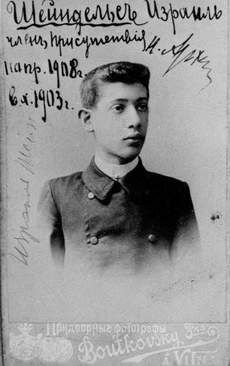 In 1915, the Lipshitz’ son Hyman is no longer there. Most New York City death records give details of the birth and death, address, burial date and names of parents. The only death record from that time is one of a Hyman Lipshitz who died 12 May 1908 with no details of his birth or parents. Hyman would have been 9. There is no other death record like that and I assume, if this is his death record, they were too upset to fill in the form properly. By 1915, the Lipshitz’ have seven children. Harry has become Archie. There is Tillie, Abe, Morris, Archie, Theodore, another Hyman, and Anna (later Annabelle). By 1920 they had added their last child, Florence, but Frank was no longer alive. He had died 30 July 1917 when he was 48. I had a great deal of trouble finding anything about the Kudlers before 1920. I could find nothing about the mother Mindel was travelling to in 1905. If she died, I could not find a death record. Then, at long last I found Barnett, a carpenter, and Anna Kadler on the 1915 census living at 281 Christopher Ave, further south in Brooklyn. By their address was written Rm 2, and I wondered whether they were living with their 7 children (Mary, Minnie, Rose, Mollie, Morris, Joseph, Fanny/Florence) in one room. 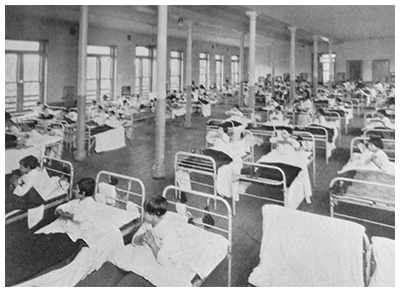 Before Anna died, she had another child David who was born in 1915 or 1916. Anna may have died after the birth. Sometime before 1920, Barnet and Fannie married and he moved with his children into 37 Moore St. There was one more major change in 1920. There is a marriage certificate for 11 May 1920 in Florida for Minnie Kudler and Nathan Treifler, who also came from Brooklyn. Minnie’s age is listed as 21, the age when consent was no longer needed although she was probably 19. And it also says ‘her mother is dead’. Often the names of the bride’s parents were mentioned in these Florida marriage certificates. No names are mentioned on this one. Possibly Minnie and Nathan went to Florida to spare their families the cost of a wedding. This is the only personal statement in the records for Minnie, who was separated from her mother in 1905, then reunited only to lose her again sometime after 1915. More changes occurred by the 1925 census. 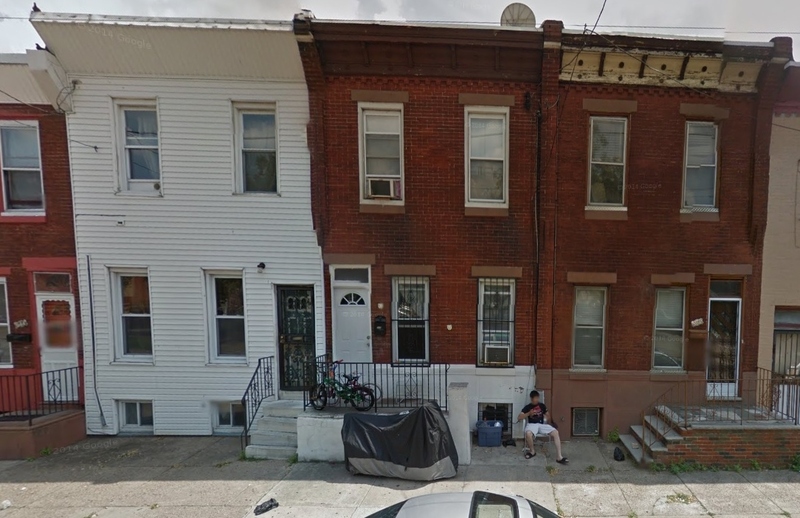 Barnett and Fannie were still living at 37 Moore Street, but Fannie now called herself Fannie Lipshitz and is listed as Head with all of her 7 children. Morris, 22, is called Moe and Hyman, 13, has become Herman. Barnett is listed as Head with his three youngest children, Joseph, Florence and David. Possibly this had never been a real marriage but just an arrangement for convenience, with Barnet providing the money and Fannie looking after the house and both sets of children. Maybe they now had two flats in the same house. 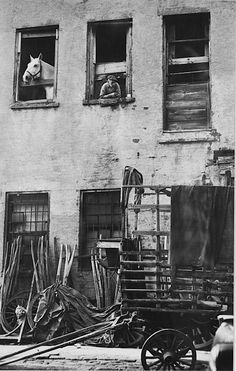 Two of the other Kudler daughters, Rose and Molly, were living with Minnie and her husband on Lorimer Street, not far from Moore Street. The oldest daughter, Mary, was in her mid-20s, and may have been living on her own. Morris Kudler is not on the census. The 1930 census took place on 5 April and Barnet had died on 25 March. The family was still living at 37 Moore Street – there were six Lipshitz children, as for some reason Herman, who would have been 18, is not there, plus two added children with no last names who had me puzzled for a long time. They were Daniel, 15, and Lena, 18. Eventually I worked out that Daniel was actually David Kudler and Lena was Florence Kudler, possibly nicknamed Lena because there was already a Florence in the family. Fannie was working as a sales lady in a dry goods store and three of the four older sons were working. Fannie’s eldest daughter, Tillie, was now married with three children, and also had Hyman Lipshitz, her uncle, boarding with her. Rose and Molly Kudler were living with Minnie Treifler who now had two sons. Joseph Kudler had changed his name to Cutler and was married with a son. They were all living in Brooklyn. Mary Kudler still does not appear. Morris who was about 23 was also missing. 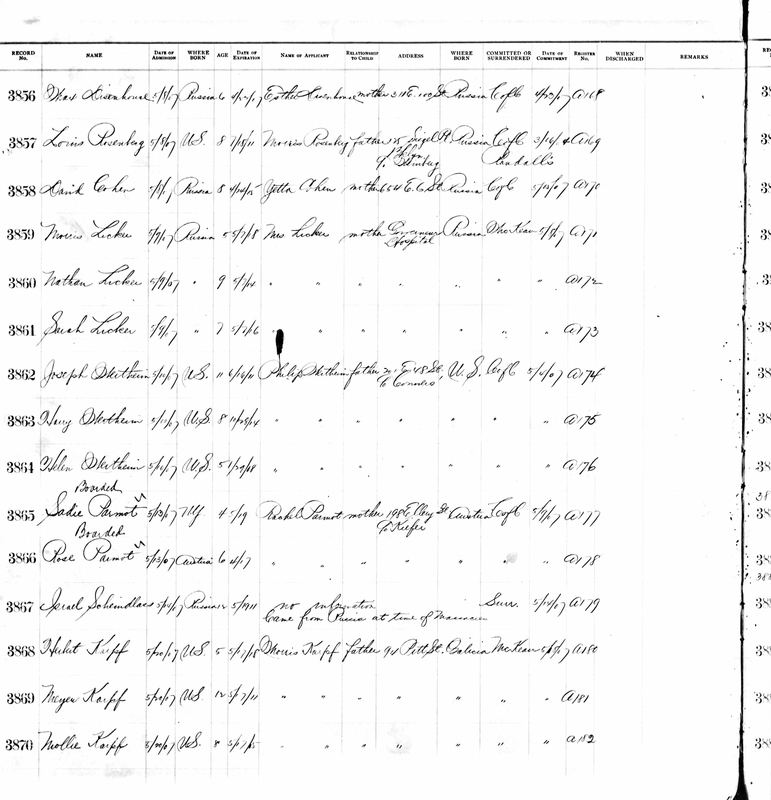 There is one census page with a person Morris’ age called Kutler, a boarder, but nothing much was known about him including his first name, so he was obviously not present. He may have only recently moved. Herman never appears again. He has disappeared like the older brother whose name he had. I could not find Fannie Lipshitz in 1940. The family had split up and the younger children, now in their early and mid 20s, were living with married brothers and sisters. Morris Lifshitz had become Murray and was living with his wife and two children in Newark New Jersey with his two sisters Annabelle and Florence. Tillie now had four children. Archie was married. Teddy had died in 1935. Joseph Cutler and his family had moved to Florida. The others were in Brooklyn. Morris Kudler was living with his wife and baby at the home of his in-laws. Minnie Treifler now had three children. Mary finally appears in the census as Mary Cutler living on Atlantic Avenue in Brooklyn. Living with her are Rose and Daniel Kudler, and their sister Florence Myers. The sisters were doing office work, bookkeeping or stenography, and the brothers were in sales. Although the Kudler family was not involved in the Odessa pogrom, they had left Odessa in 1905, a time of great turbulence. It was the year of the first revolution beginning with the Potemkin mutiny in Odessa Harbour in the summer of 1905. They may have felt pressured to leave as events were unfolding. I continued researching the family when I saw the two families managing with 14 children between them and how, as one after the other, the parents died early, the children continued to live with and look after each other. The children who did not have their own families came together and made a family together, something that has happened in several of the Odessa families. Duvid Shaevich Komelfeld, a native of Odessa, was 29 when he died in the 1905 Odessa pogrom. Nothing else appears in the records about him or his family. 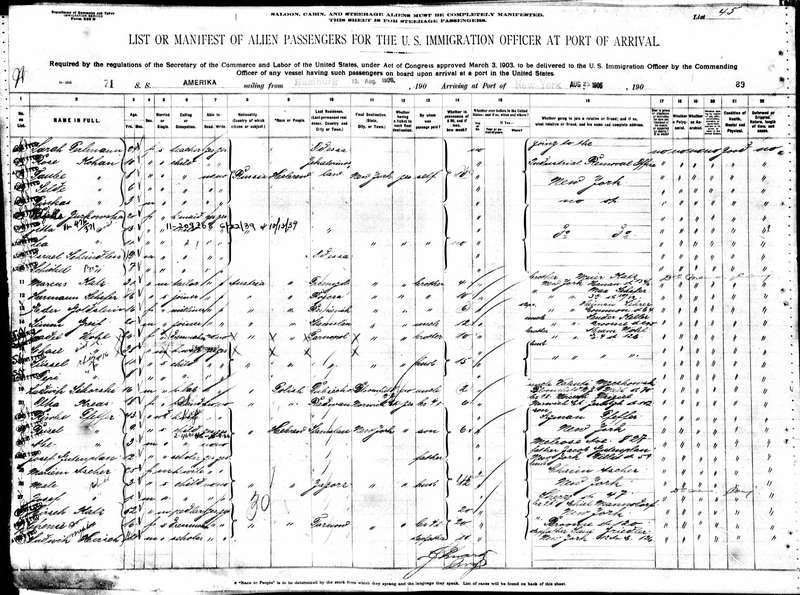 But checking on an Ellis Island database (https://stevemorse.org/ellis2/ellisgold.html), there was a family of Komelfelds, 28-year-old Sura and her four children, Tauba, Schindel, Schaje and Rafael, between ages 7 and 3, leaving Hamburg for New York in August 1907. 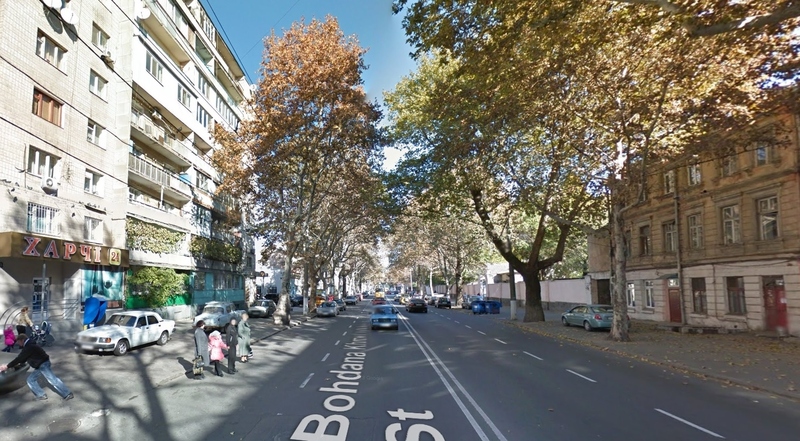 Her closest relation in Odessa was her brother Schiel Burdman (Бурдман) who lived at 7 Srednaya St in Moldavanka, and she was going to her husband David Komelfeld at 197 Moore St in Brooklyn. Srednaya St means Middle Street and it runs through the centre of Moldavanka from top to bottom of the map. The name Komelfeld (Комельфельд) is extremely rare. Slightly more common is the name Kimelfeld, and both names appear in the Odessa records. It is also a name that is rarely spelt properly in the US records, probably because many of the records were done orally and the Russian or Yiddish pronunciation was difficult to interpret. The first record I found was the 1910 census with the name spelt something like Kobnmelfeld. 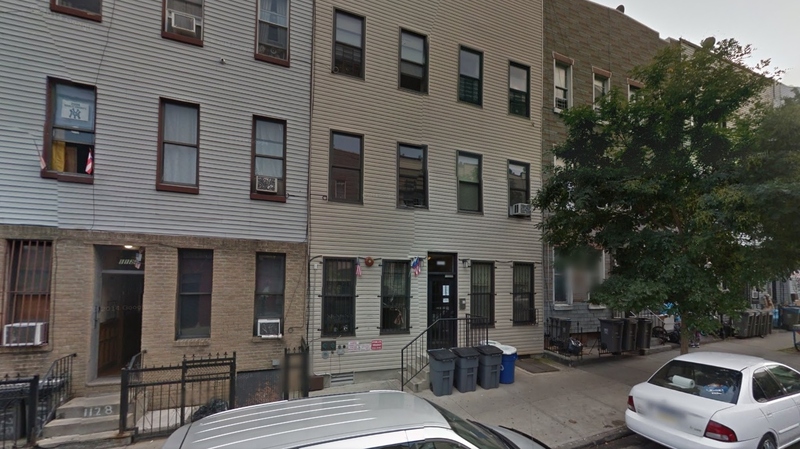 Sarah was living with her brother, Joe Boardman, sister, Beckie, mother, Ida, and her three children on 79 Leonard St in Williamsburg, Brooklyn, an area with many newly arriving Jewish immigrants where the family stayed through the 1920s. Sarah is a widow and one of her children, the eldest son, has died. She has two daughters, Tesie and Sadie, 10 and 8, and a younger son, Rafael, 5. It says on the census that Sarah originally had five children and three are alive. 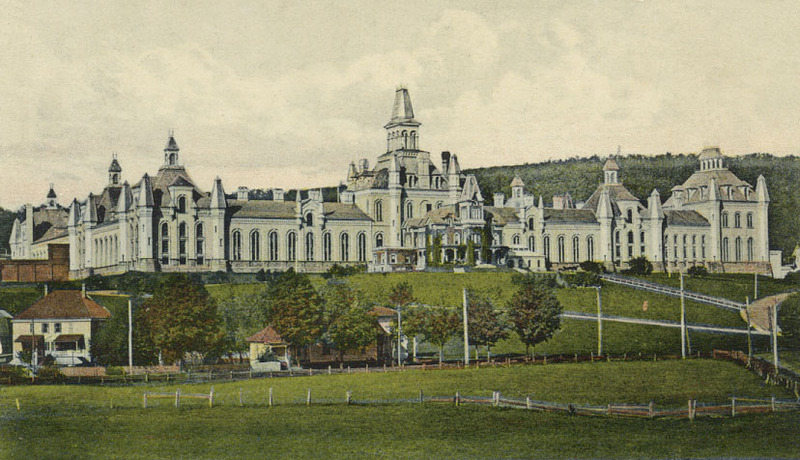 Her brother had arrived in the same year as she arrived, 1907, but her mother and sister came in 1908, possibly to help her after her husband died. She is working as an examiner of children’s suits and her brother and sister are also working in clothing factories. What I did not notice when I first saw the 1910 census was another Boardman family consisting of Morris 24, Bessie 20, and their little boy Abe who was 2. Morris had arrived in the US in 1905 and had a candy store. Living with him was Ben Komarow, who had come alone from Odessa at age 14 in 1906. Ben married Sarah’s sister, Beckie, in 1911 and will come back into the Komelfeld story further on. 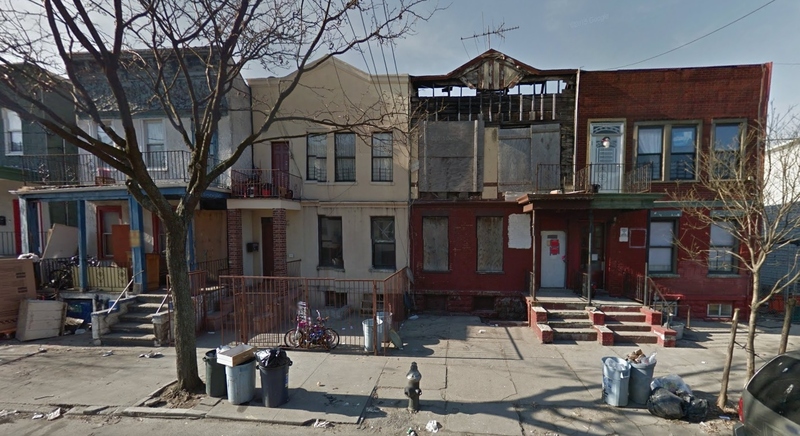 It was difficult to find the old houses in Williamsburg on Google streetview in the area where the Komelfelds lived. 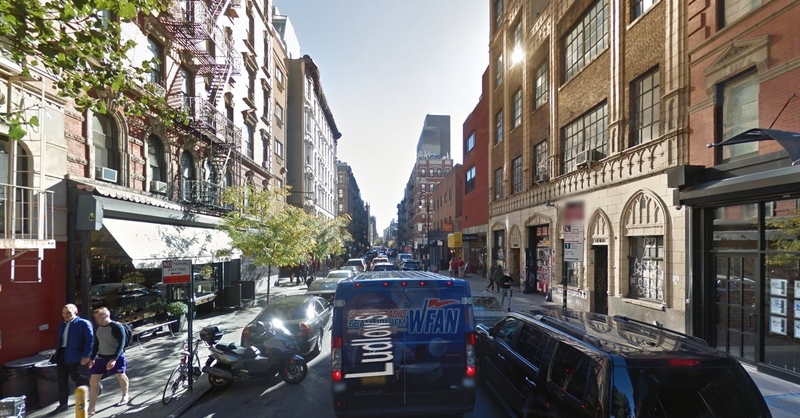 The street above is just south of Williamsburg, where Joseph Boardman lived in 1920, a slightly more prosperous area. When I saw the two trees framing the picture I thought of the famous story written in the 1940s, A tree grows in Brooklyn, by Betty Smith, which I read and cried over as a child. It is the story of an 11-year-old Irish-American girl brought up with an alcoholic father in a poor Irish Catholic part of Williamsburg just north of the Jewish area. She describes in exquisite detail the daily life, the squalid tenements, the diet of day-old bread and the Saturday treat of fresh rye bread from the Jewish delicatessen, and at school, the vicious treatment of the poor children by the teachers, and of various hierarchies of children towards each other. It was quite clear to her from a very early age that her aim in life was to find a way to rise up and out of Williamsburg. The older daughter’s name was Tessie, which was rare and eventually I tried searching for her in a database with no last name, looking for someone living in Brooklyn, newly married, age 20, with an immigration date of around 1907. A possibility came up with a Tessie Bernstein, 21, married to Edward, a salesman, living in Brooklyn, with a son, Irving, 2. In 1930, Tessie has Odessa written by her birth country and I knew I had found the right person. There was no marriage record for her or her husband. By 1930 she had 2 sons. Sadie was a much more common name and more difficult to find. I also could not find any more records for Sarah or Raphael. Before I found Tessie, I thought the entire family had disappeared, ghosts from the Odessa pogrom. Eventually I made a little headway. I returned to looking for David Komelfeld‘s death record and after a long search went back to the original Odessa death record to see the full name of the Duvid Komelfeld who had died in the pogrom, which was Duvid Shaevich. The name of Sarah’s oldest son, the one who died, was Schaje which was probably Shaya. So was Shaya named after his grandfather, his father David’s father? Then who was the David who died in the pogrom who also had a father called Shaya? How could there be 2 people in the same family with the same name and the same father? For a short moment I thought that possibly the David Komelfeld who was waiting for Sarah and the children in Brooklyn was only a figure in her imagination, a real ghost from the pogrom. Maybe she was already a widow and joining a brother in New York. Then I realised Shaya may have been named after an uncle or another relation. Maybe the Davids were cousins. After my third or fourth attempt, I found a potential Sadie – a Sadie Held, 19 in 1920, married to Jacob, a plumber. Her immigration date was correct, 1907, and there was no marriage record for her as there hadn’t been for her sister. By 1930 she had four children, one boy and three girls. The Komelfelds had only arrived in August 1907 and three months later Shaya had died. And what about David, his father? Could he have been buried through a synagogue without a death certificate? Or are some records simply lost? I found some old maps from the 1880s of Seigel St and the area around there where the Boardmans and Komelfelds had lived for so many years. This was the centre of Jewish Williamsburg.Although these are much older maps, it is interesting to see the narrow houses, the furniture factory, tailor, bakery, macaroni factory and other workshops scattered between the houses. I returned to Sarah and Raphael and found that there was no sign of them after 1920. I tried with every possible spelling of Komelfeld, any name beginning with K, and even with no last name. There are very few Raphaels so I tried Ralph as well, but nothing came up that fit his approximate age and immigration date. As Sarah’s mother, Ida Boardman, had been living with them in 1920, I then looked to see where she was in 1930. She appeared living with Ben Komarow who had married Sarah’s sister, Becky Boardman. I went back to his ship’s record which had said he was 14 when he left Odessa alone in 1906. It said he was going to an uncle called Abraham Bradkovsky who ran a restaurant in Manhattan on Monroe St. Unfortunately, Bradkovsky died in 1909 when he was only 40 and Ben must have moved to the Boardmans in Brooklyn. Possibly they were relations or friends from Odessa. 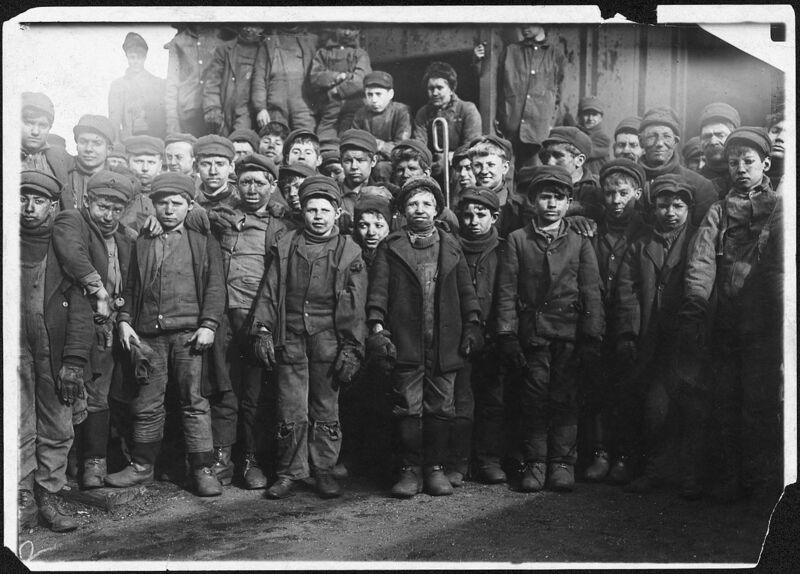 On the ship’s manifest it said Ben was a shoemaker at age 14, but on the 1910 census he was working, like the majority of Jewish immigrants, in a clothing factory as a ladies cloak cutter. After he married Beckie, Ben moved to Sumter, South Carolina, where he appears on the World War I registration as a merchant. He probably had a brother there as there is another young man from Odessa, Isidore Komarow, nearby. It is hard to imagine why two young Jewish men would find themselves in a small town in South Carolina, but immigrants travelled anywhere to get away from the intense competition for jobs in New York. I still did not know whether Sarah and Raphael had changed their names, moved away or died. But as Sarah had been looking after her mother, and that job was taken over by her sister Rebecca, who had returned to New York from South Carolina at some point before 1930, possibly the Komarovs returned because Sarah moved away or died. If she died, that does not explain what happened to Raphael. She might have remarried and he might have taken his stepfather’s name, but that seems unlikely when he was nearing the age to set out on his own, and so far I have not found anyone that fits his description. Possibly she remarried and later he changed his name. Or he left the country. The possibilities are endless. Having settled for 13 years in Brooklyn, these two figures, the 42-year-old mother and 15-year-old son, fade away like their husband and father, David Komelfeld, ghosts of the Odessa pogrom. Rifke Bubis was a widow of 43 when she travelled from Odessa to New York with her two daughters Malke, 17 and Ruchel, 15. They left from Hamburg on the SS Blucher on 31 October 1910. Her son, Michel, a tailor, had left earlier for New York in 1907, when he was 17, although stating he was 20. 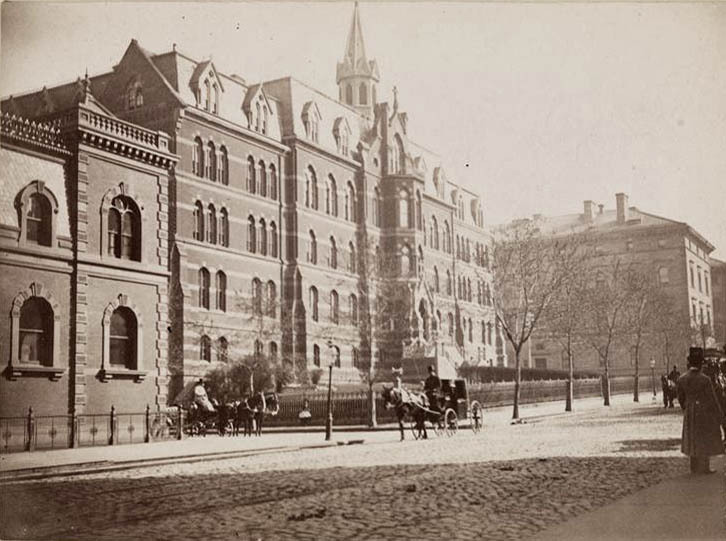 Michel had originally stayed with his sister and brother-in-law, Eli and Hanna Boxenbaum, and their little son Harry, in Brooklyn, who had come in 1906 and 1907. Later, when the Bubis’ were together, they settled in the Lower East Side of Manhattan. I noted the Bubis family because Rifke was a widow of 43 and in the Odessa pogrom death records was a Gersh Peisakhovich Bubis, 46, from Uman. Probably not a very common name, there was a chance that Rifke was his widow. On the ship’s manifest, Rifke had listed her father, Abram Goldstein, 36 Gospitalnaya in Moldavanka, as her close contact and possibly her home before leaving Odessa. Gospitalnaya (now Bohdana Khmelnytskovo), centrally placed in Moldavanka, and in the heart of the pogrom area, was named after the Jewish hospital which takes up much of the street. 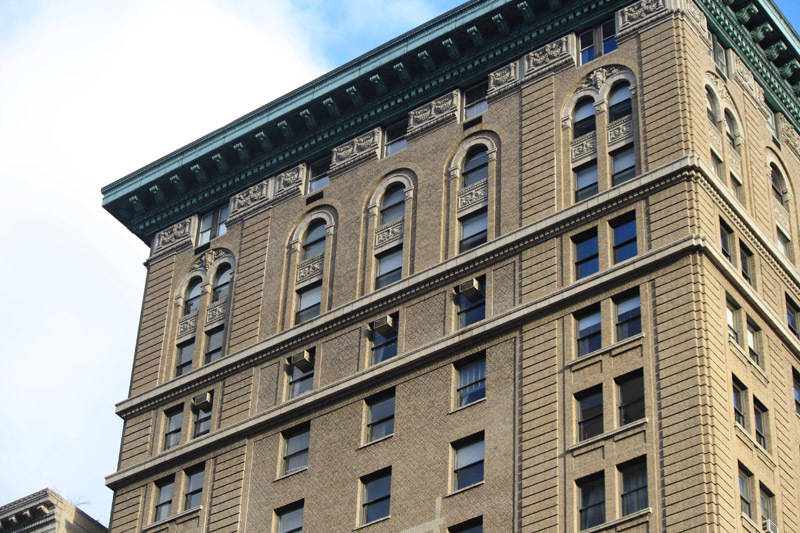 She was on her way to her daughter, Hanna Boxenbaum, who lived at 85 Hopkins Street, Brooklyn. Hanna’s husband, Elias, was a truck driver. 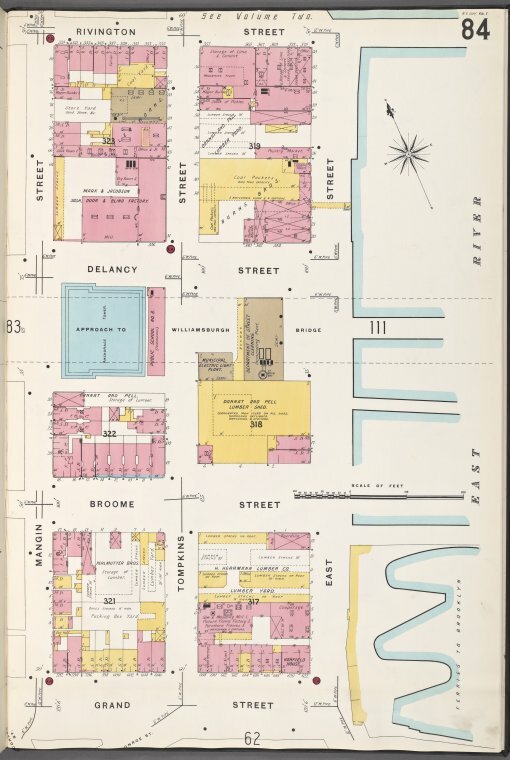 There was one Boxenbaum, Ios Berkovich, on the Jewish business list for 1895 at Bazarnaya St, but not in the 1904-5 directory. 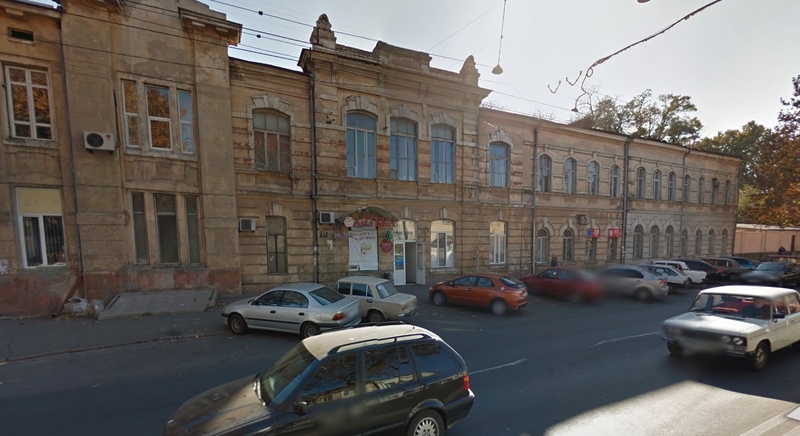 There were two Bubis families with Odessa businesses in 1911, one at Preobrazhenskaia 86 and one at Vneshniaia 92. I did not find any of the Boxenbaum family on the ships’ lists so I looked again using the name closer to the Russian spelling, Boksenbaum, and I discovered Henie, age 20. She was travelling in June 1907, four months after her brother emigrated, to her husband Elias, with her baby daughter, Rive, four months old. 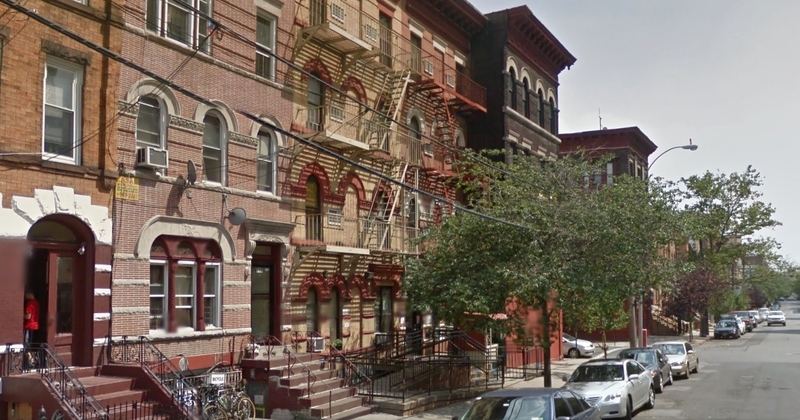 Elias was living in Cherry Street in the heart of the Lower East Side. On the 1910 census, when Hanna, now Anna, Elias and Max were living in Brooklyn, there was only one baby, Harry, so I looked up the New York death records and found the death of a one-year-old boy called Reifert Bascenbaum, and realised this must have been the little girl, Rive or Rifke Boxenbaum. Their English must not have been understood by the person completing the death certificate. The Boxenbaums must have decided to move away from the crowded Lower East Side when they were expecting their next child, Harry. They then had another son and two daughters. 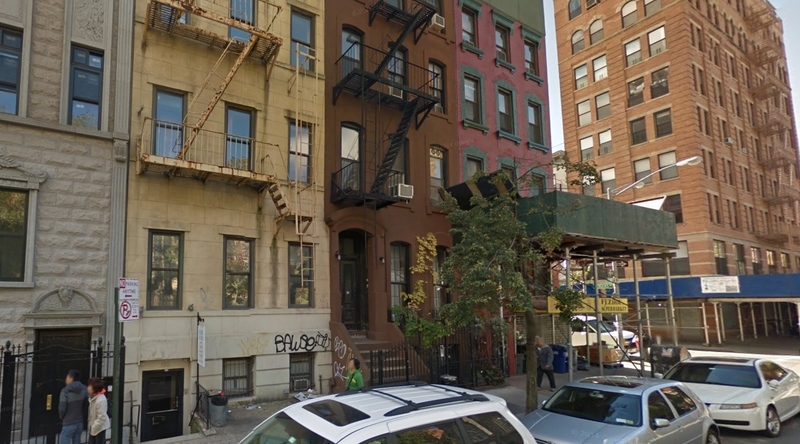 On the next census, in 1915, Rifke and the three children were living at 22 Mangin Street, a street overshadowed by the Williamsburg Bridge in the Lower East Side of Manhattan, which now barely exists. It was known as a street of rough tenements, a street of crime and prostitution, like several adjoining streets in the area. Headlines from the New York Times mentioning the Mangin St area include LOST GIRL STRANGLED, BURNED BODY HIDDEN, BROKEN LIMBS IN FIREPLACE (1910) and CAFE OWNER SLAIN IN RAID BY ROBBERS, KNOCKS DOWN GUNMAN AS HE REACHES FOR DIAMOND AND IS SHOT TWICE (1923) and FIND TRUNKMAKER IN SACHS MURDER (1910). There was a constant going and coming of moving vans and pushcarts – one family moved into one house and another moved out of the next. The houses formed a drably indifferent village that on rainy days looked like a row of washed-out, badly patched petticoats. They shared their submerging sorrows, small sufficient joys, and frequent fights. The majority of the families sprang from Galician sources; the rest were Hungarian and German Jews and a few Russians. The first half of the block was Jewish and the rest of it was Italian, with an invisible but definite line of demarcation. Max and Mollie were working in clothing factories making men’s coats and Rose was making paper boxes, typical Lower East Side work. The noisy crowded streets and houses, the peddlers and markets, the nearby busy docks, the complex mix of nationalities and religions, must have seemed not much different from Moldavanka. 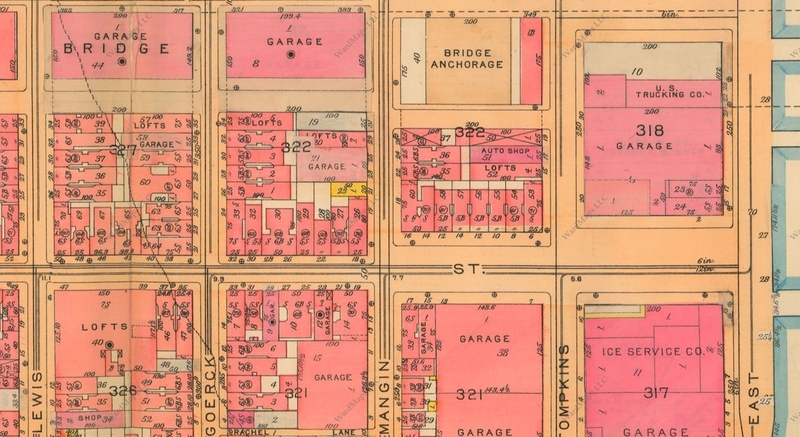 Too old maps show incredible detail of the houses, businesses, schools, churches and synagogues in the area. 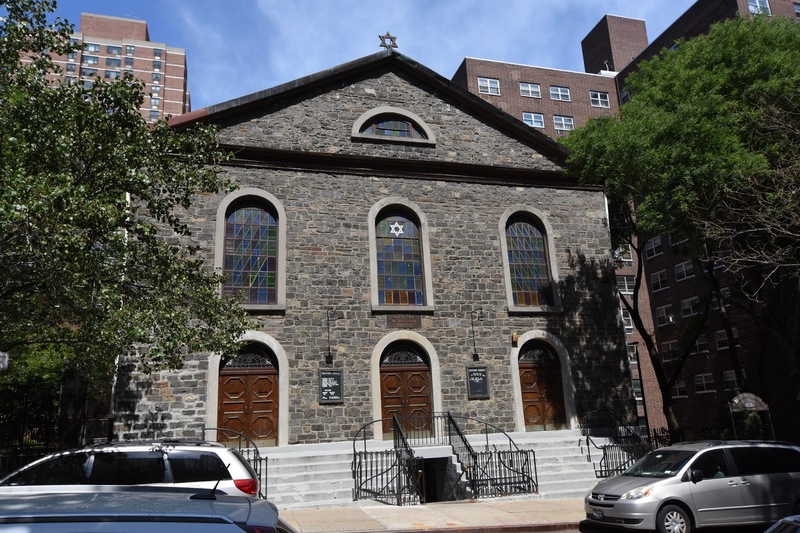 By 1920 the family had moved a few streets over to 3 Willett Street, famous for the Bialystoker Synagogue at 7 Willett Street converted from a Methodist Church in 1905 when the huge influx of Jewish immigrants arrived in New York. 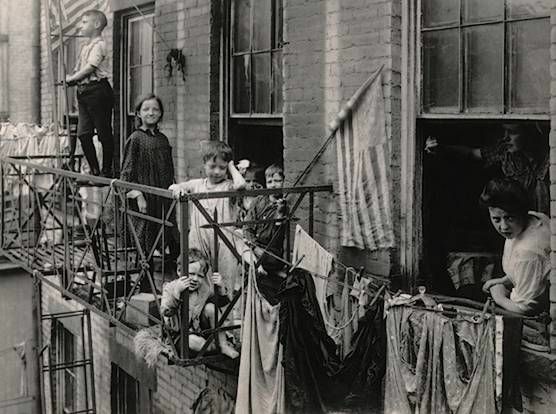 Most families I have looked at began their life in America in the Lower East Side but eventually moved to other parts of Manhattan, Brooklyn, the Bronx or New Jersey. 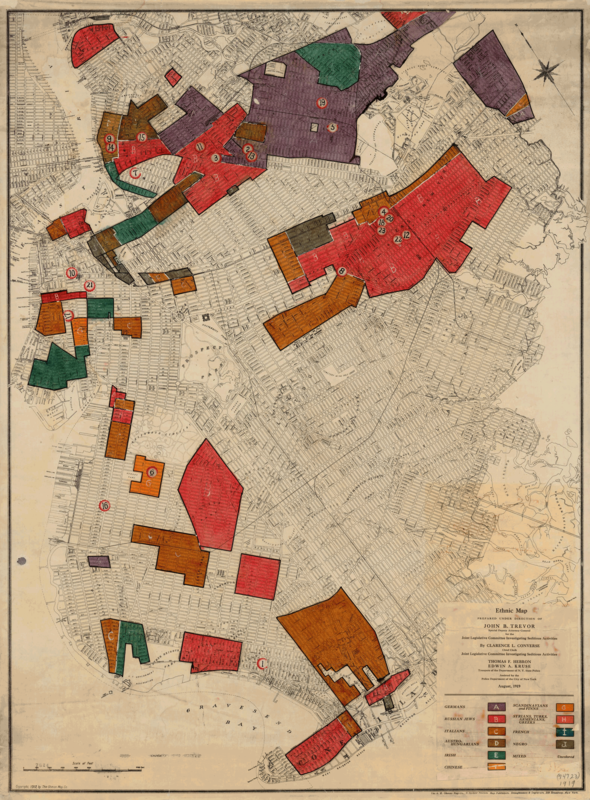 There were many distinct areas that were predominantly Jewish in various parts of Manhattan and Brooklyn, as shown on these 1919 ethnic maps. These maps were designed by the police department to target groups of immigrants who might not be loyal to America and might have socialist, communist or anarchist beliefs. This was just after the Russian Revolution and Civil War. Russian Jews were bright red and scattered across both Manhattan and Brooklyn. There is nothing new in government surveillance of ethnic groups. 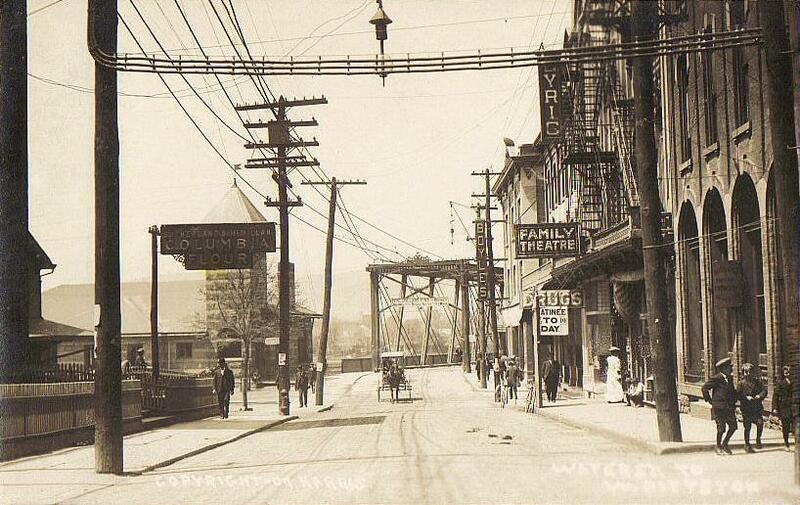 For some reason, possibly the Yiddish culture of the area, with its theatres, newspapers and markets, they stayed. 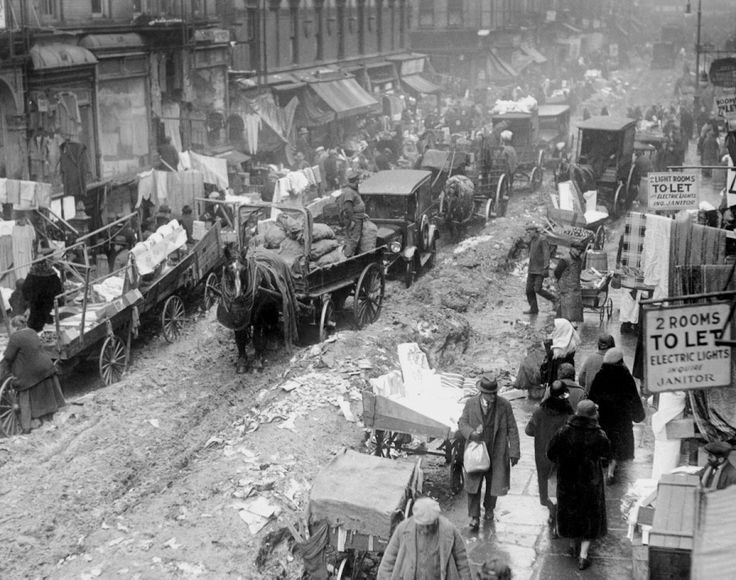 By 1930, one of the younger daughters, Rose, had married and moved to the Bronx, but the other, Mollie, remained in the Lower East Side, on Henry Street, with her husband, a printer, their children, their mother as head of the family, and Max. Possibly her husband’s work kept them there. Probably due to the Depression, Max was only working occasionally in a men’s clothing factory. In 1940, when Max and his sister’s family were living on Ludlow Street, there is no job listed for Max but it says that he worked for 30 weeks in the year and earned $450. His brother-in-law, the printer, had worked 50 weeks and made $520, so Max had not done badly from his unlisted job. But, in his 1942 World War II registration form, Max is categorised as unemployed. In 1940, Rifke, or later Rebecca or Beckie, was living in Brooklyn with her elder daughter Anna, who is listed as a widow. 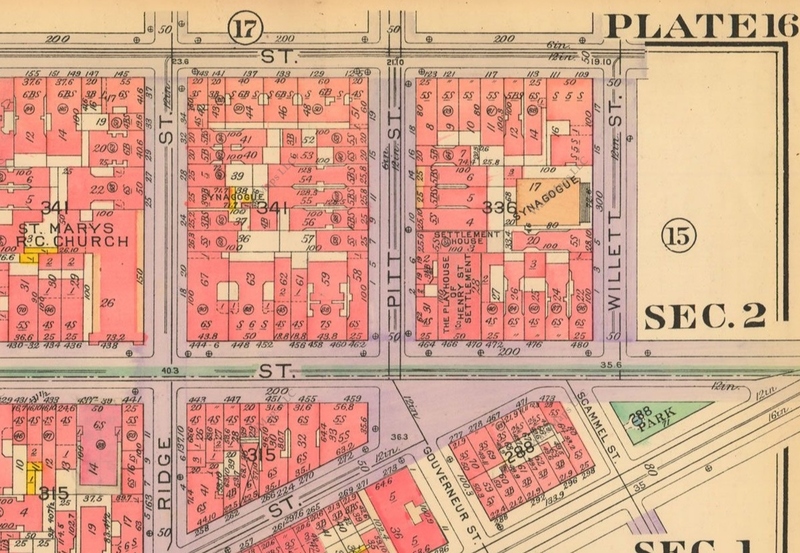 In 1930 Anna , Elias and their children were living in Coney Island on West 25th Street, at the very bottom of the 1919 Brooklyn map. 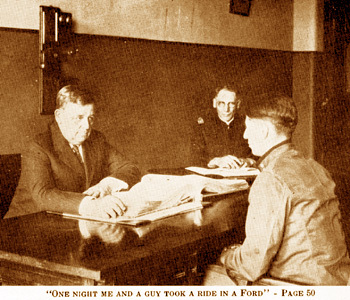 Elias, who owned a truck company, had had his driving licence briefly suspended for driving intoxicated, and in 1931, according to the Brooklyn Eagle, the business was in Annie’s name and one of their drivers was charged with homicide after killing a woman in the street. Their older son Harry married that year. In December 1932, Anna’s younger son, Abraham, then 20, appears in a newspaper article about a burglary – BAIL HOLDS SUSPECT ON BURGLARY CHARGE. He was caught running away from a house where jewellery was stolen. Her two daughters, Bessie and Esther, married in the mid-1930s. 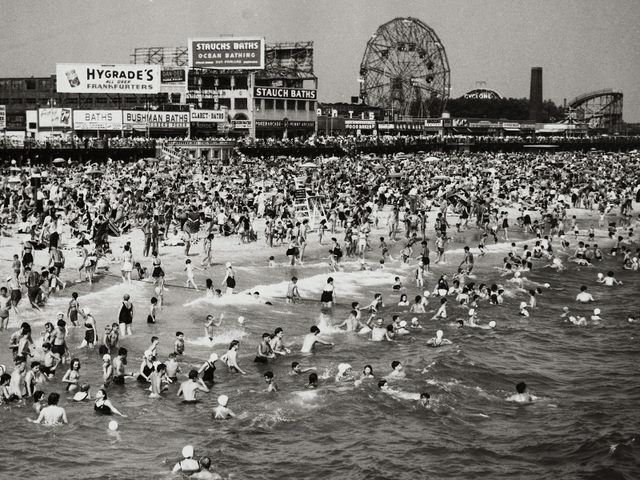 In the 1940 census, when Anna was living with her mother in Brownsville, Brooklyn (north of Coney Island, south of their original Brooklyn home, all Jewish areas), her husband, Elias, appears as a lodger with a woman, Ida, and her teenage children in Coney Island. Ida appears as Elias’ wife on his 1942 World War II registration. By 1940, Abraham had settled down, was living around the corner from his mother and grandmother, was married, had a small child and was working as a plumber’s helper. His older brother, Harry, was a licensed plumber. But on his 1942 World War II enlistment form, Abraham is listed as single with dependents. There is also a 1951 California death certificate for an Abraham Boxenbaum born in New York in January 1911, who must have only been 40. The informant did not know Abraham mother’s name so it is possible it is someone else. The World War II enlistment form does not have a birthdate, only the year, 1910. 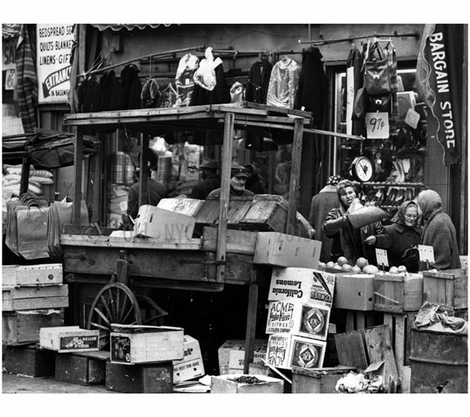 Elias died in 1946, age 60, in Coney Island, a junk collector rather than a truck driver, and his wife on the form is called Frieda. Although most of the members of this family – Rebecca’s two daughters, Mollie and Rose, and Anna’s son Harry and her two daughters, Esther and Bessie – seemed to have done well in their new lives in America, others, like Max, Elias and Abraham had a harder time. It will never be known why Max remained unemployed, why Anna and Elias’ marriage broke down, or why Abraham died so young, if he did. How the mother and her eldest daughter, Rebecca and Anna, actually fared through all of this will also remain unknown. Was Rebecca being helped by her children or was she the rock they depended on? Had Elias been drinking for a long time or was it recent? Had he or Anna, having emigrated shortly after the Odessa pogrom, never felt comfortable in their new home, and were they unable to support each other? Having been through so much together what had finally broken the bonds in the 1930s? Looking through the New York Times archive, it is Harry’s family that produced a dynasty recorded in the New York Times obituaries. Some children seem to inherit their family’s problems and past traumas while others break free and are able to go their own way. I followed the Bubis family in the records to find out if they were related to the Hersh Bubis in the Odessa pogrom death records, and, whether they were or not, how a widow and her children leaving Odessa from 1906-1910 for New York. The two younger daughters married in New York (one to an Odessan) and had families. One moved to the Bronx and the other stayed in the Lower East Side. The son, Max (Michel), who had arrived by himself in 1907, worked as a tailor but never married, living with one of his younger sisters. It was through the younger sisters’ marriage records that I discovered that they listed their father’s name as Abraham. If their father was Abraham, was he a brother of the Hersh who died in the pogrom? Could both men have died in the pogrom while only one was in the records? Could Abraham have simply died naturally, possibly sometime earlier? What was there no Abraham, only Hersh? Rifke Bubis was born in Odessa as were all of the children except the eldest , Anna, who, according to the ship’s list, was born in Uman, like Hersh Bubis, making it likely they were part of the same family. Another possibility, judging by the way the Feld family omitted writing the name of Nathan Feld’s mother’s name on his death certificate, could be that the Bubis family decided not to write the father’s name in the marriage records. Could they have chosen the name Abraham as it was Rifke’s father’s name? I thought again about the Scheindless brothers naming their first sons after their dead father and I looked at the names the Bubis children had used for their children. The eldest daughter, Anna Boxenbaum, had two sons, Harry and Abraham, born in New York in 1909 and 1911. Could Harry have been named after his father, Hersh, and Abraham, after his grandfather?